Its just not any ordinary smartphone manufacturer, its “World's THIRD largest smart-phone manufacturing company" producing mobiles which has become popular all over the world. 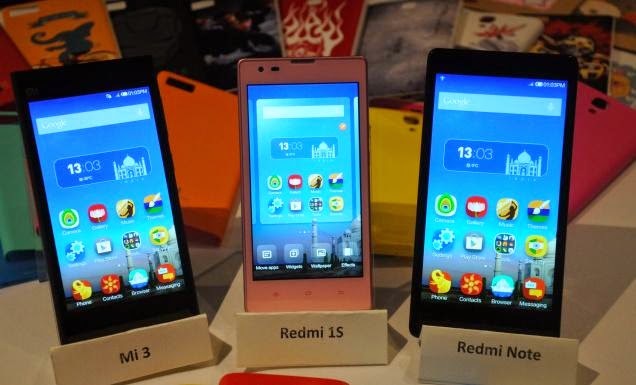 A Chinese mobile manufacturer has made such a great terms with Indian consumers since it released its first phone in July this year and now people are waiting for its next Phablet Redmi Note. As per the insider reports the price for the Phablet is just Rs 9999. Other features like 5.5 inch IPS LCD, 720p HD display. Android OS 4.2 jelly bean-based MIUI ROM with 2GB RAM memory, 8GB storage extendable upto 64 GB. The battery has a good life with 3100mAh with 1.7GHz octa core processor. Moreover, the set will come handy for photo enthusiasts as the set comes with 13MP rear, 5MP front camera that is more than enough at this price. Words starting doing the rounds of the set to be available in India after the company’s vice president Hugo Barra dropping hint. In a Facebook post, he has announced that the set’s next destination is to be Asia. In Indonesia the set went on as hot cake selling off 10000 units within 40 seconds of its launch.